IT Best Practices: Intel IT has conducted a successful pilot project of our hardware-based whole-disk encryption (WDE) solution to replace our current software-based WDE solution on systems with self-encrypting drives. Compared to software-based WDE, our new hardware-based WDE solution improves user experience, increases encryption compliance, and reduces support issues. 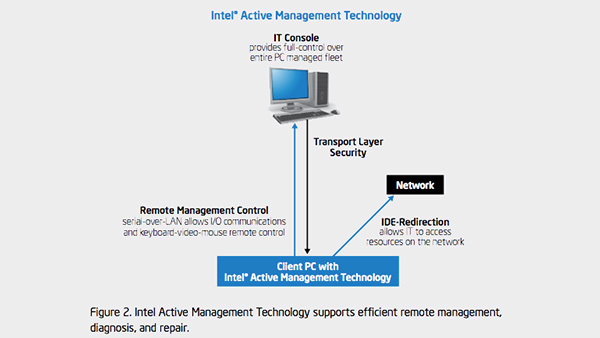 This new solution is based on two Intel technologies: self-encrypting Intel solid-state drives and Intel Active Management Technology, part of Intel vPro technology.